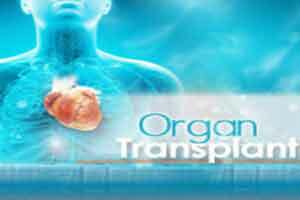 Thiruvananthapuram: Amid the backdrop of thriving kidney rackets being busted in the country, an officer of the state-run Kerala Network for Organ Sharing (KNOS) has said the Kerala government should come out with new rules to facilitate organ transplants. He said that there were two ways that a kidney can be sourced — one is to get a cadaver transplant and the other is from a ‘live’ donor — either from a relative or a third person. However he explained that there was a set procedure for this which frustrates both donors and recipients with the red-tapism. Stuck in this maze the patients and their family fall easy victim to ‘agents’ dealing in kidneys, shelling out hefty sums when KNOS could get the same transplant done at half the price. The rate for a kidney transplant done via agents in under two months costs more than Rs two million, while doing it through ‘proper channel’ takes around four-six months at half the cost. In Kerala there are several hospitals — both in the government and private sector — that have been cleared to undertake renal transplant and each of these hospitals has an ethics committee. Speaking to IANS on condition of anonymity a middle-aged man waiting for a kidney transplant said that he had never realised that newspaper reports about kidney rackets in Kerala could be true. Currently the ‘tout’ rate for a kidney transplant includes Rs five lakh for the agent, Rs four lakh for the donor, besides, surgical and other medical costs amounting to around Rs 10 lakh. Apart from these expenses the recipient would also have to spend about 45 days in the hospital after the transplant and that expense could be around Rs two lakh. Moreover, not just the money but the waiting period before a renal patient manages a transplant weighs heavily on them. A person in the know of things said that “as life is precious” — it’s here that these ‘kidney agents’ chip in and get the job done with the recipients having to pay just the agents prescribed rates. Also hospitals in neighbouring states like Tamil Nadu and Karnataka profit from the situation as many prefer to go there to avoid long delays. Speaking to IANS, a woman said that her mother had donated one of her kidneys to her sister 19 years back and it was done at a hospital in Chennai. “We opted for Chennai because things here took a long time, even when it was all in the family. In Chennai it was done quickly without any delay,” said the woman who did not wish to be identified. Former Chief Minister Oommen Chandy who was instrumental in floating the KNOS for ensuring that cadaver transplants become a reality admitted that there is a long waiting period in getting organs even from relatives or friends.